Tired of the ugly classroom surfaces of your tables? 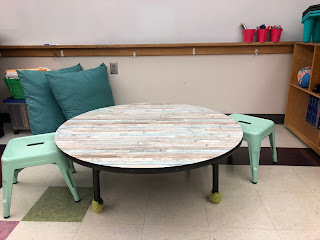 I am SO excited to share how I upgraded the look of an 'old' table in my classroom... and it was really cheap! Gather contact paper, scissors, a ruler/measuring tape, a pencil, a squeegee, and (the secret ingredient) WINDEX! I bought this self-adhesive contact paper in Beach Wood for under $10. There are many options for contact paper. I chose one with shades of blue, to tie into my theme. *Don't have a squeegee? Try a plastic dustpan with a rubber edge! 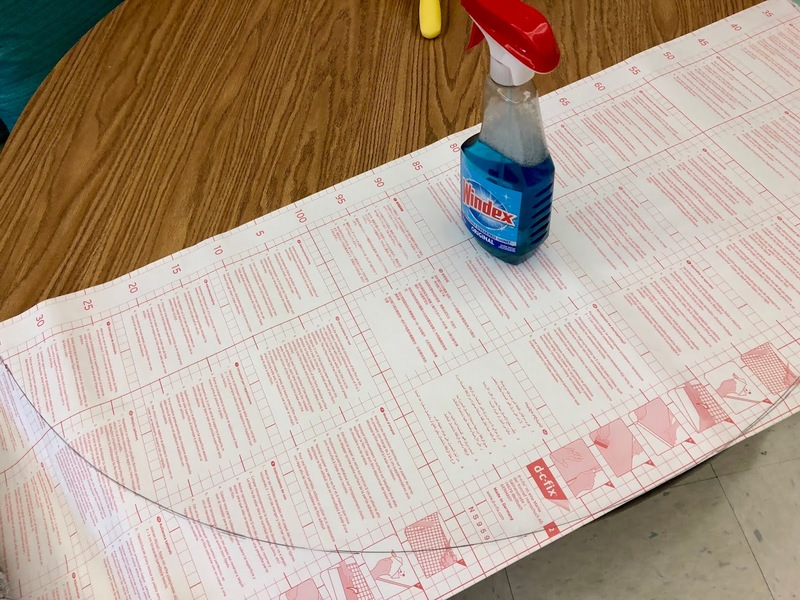 Measure out and cut your contact paper. Turn the paper over and place it on the surface. Using the flat side of a pencil, mark the paper while tracing against the edge of the table. When you are ready to place the contact paper, liberally spray WINDEX over the table. This will allow you to slide the sticky part around the table and fit it EXACTLY where you want it. Holding the contact paper down (once it's in place) use the squeegee to push or pull out ALL of the Windex. It's important to get it all out. Use a cloth to wipe up the liquid. Make sure it's a dry as can be, especially on the edges. If any edge is sticking up slightly, you'll want to squeegee more and wipe up again. Step back and admire your work! 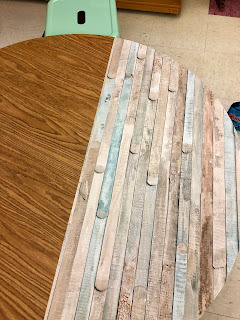 As you can see, it's a fun and easy project! The only issue I have had with this is that one small corner curled up a bit. The custodian at our school helped me by adding a small adhesive! Please note: if you don't own the tables, you may need to ask permission. 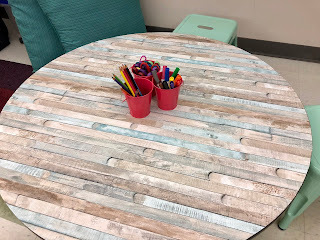 My tables were about 20 years old, so our admin had no problem with me spicing them up! 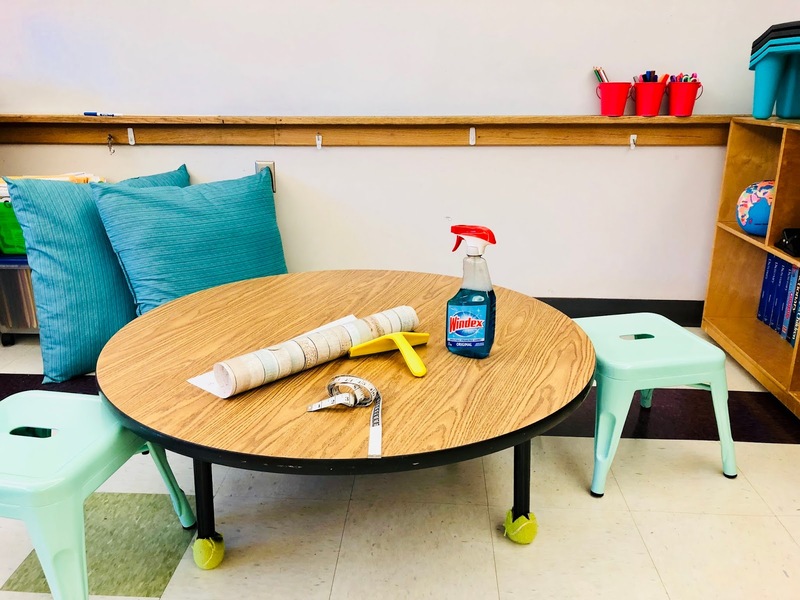 What ugly surfaces do you wish you could cover up in your classroom? Comment below! Give Your Child a Boost with Over 300 Fun Online Games!